Kinect's voice recognition technology will be limited to five regions until next year. For those of you in areas other than the UK, Mexico, Canada, Japan, and the U.S. planning on purchasing Kinect when it comes out later this year (there are people planning on getting that thing right? ), don't expect to use its voice recognition abilities right away. An interview conducted by Eurogamer Spain with Microsoft PR & Event Manager Lidia Pitzalis had revealed that only the five previously mentioned regions will receive support for the aspect of the device when it launches in early November 2010. And if you're thinking: "Hey, that's okay, I speak English/Japanese/Spanish," you're still out of luck. Pitzalis revealed that the voice recognition feature won't be enabled in regions where it isn't supported. Sorry Spain, Mexican-Spanish is the only dialect of Spanish accepted right now, and English-speaking Canadians alone will be able to talk to Kinect in Canada. It's not all bad news. 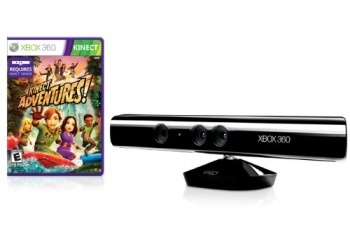 An update to be provided in Spring 2011 will expand Kinect's voice recognition ability to more regions, either through the internet or through inclusion with future games. Microsoft seems to mostly be promoting Kinect's motion sensing capabilities for now anyway, so this may not be a huge deal right away. But if Microsoft is going to release a product like this, and wants the whole world to get Kinect fever, it'd should probably make sure that all of its features are supported in every area it's put on the shelves.